We are a small Brewpub (capacity of 40) located in the heart of downtown North Tonawanda across the street from the Historical Riviera Theater. 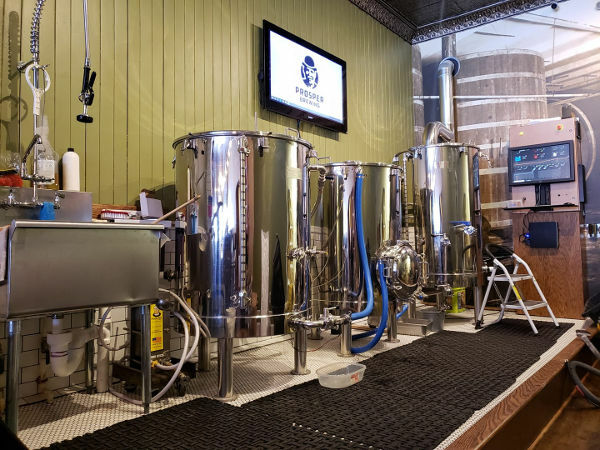 We are dedicated to making ourselves a local favorite with a wide variety of beer styles all brewed in house on our 3bbl electric brew house, as well as carrying an assortment of wines and ciders from nearby places such as Leonard Oaks Estates Winery. We also carry a small menu of homemade items such as Pierogi, Sauerbraten on Weck, Beer Bratwurst, Sourdough Pizza as well as a local favorite known as Firehouse Style Chowder, along with other pub favorites such as Steak Fries and Chicken Fingers.